For teenagers at Devotion, summer is often a chance to unwind, relax and switch off from the busy world of school life. We love that things slow down a bit and that fun is well and truly at the top of the agenda. 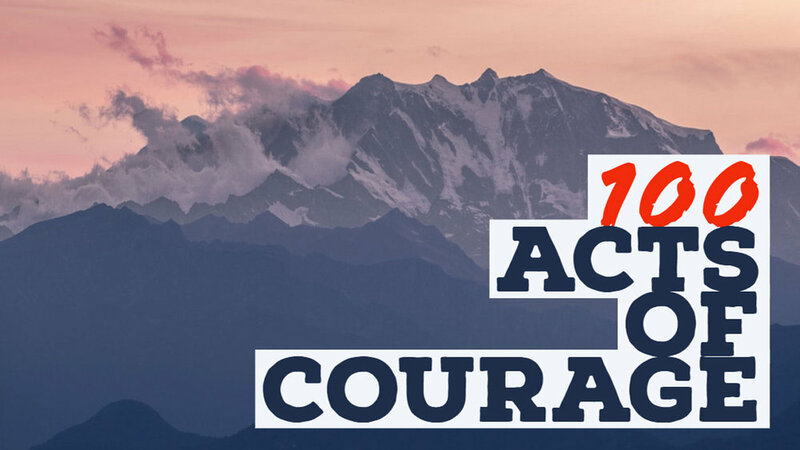 We're excited, however, that this summer we will be mixing down time with acts of bravery with a new initiative we are calling 100 Acts of Courage. The idea is simple, over the course of the 6 weeks, we are asking every young person to do one or two simple acts of courage; it could be speaking to a family member on the phone, telling someone about Jesus or writing to an MP about a political issue. Whatever it is, we aim to collectively do 100 amazing acts together. So, Devotees, get your courage caps on and get out there! Let us know what you've done by taking a photo, writing a sentence about it and either emailing Chris at chris.duncan@woodlandschurch.net or tagging @devoyouth on instagram. We can't wait to see what amazing things God does through this!